Otras Europeas – Other Europeans. This is what I’m classified as in Chile by the Carabineros in the Police report. The reason why I had to obtain a Police Report, or even the reason I’m here in Santiago is a disappointing story This is a story of how when travel goes wrong, and why the most important lesson of any trip is to guard your passport with your life. This mistake has set myself back – well at least temporarily until my insurance rectifies it, probably four to five thousand dollars. Chile is a country of surprises, and why first impressions are not all that matters. If they were, then I would have suggested Nuking Chile, or for some ghastly plague or pestilence to reduce the coast to ashes, but as it was I was pleasantly surprised. This country was my silver lining to a horrible mistake. I am writing this from my hotel room in Providencia on the last day of my trip. I had booked a tour to Valparaiso today, but I slept through it, and honestly I’m glad I did. I would have been rushing for my midnight flight, and I really needed a days rest before another 13 hours plus of flying. I was heading to Brazil for a month for some solo travel. I had never taken a major trip by myself before, so the plan was to go there, and I would do a weekly blog while I was over. After all, I had neglected this blog for so many months, so it was an opportunity to do some writing, as well as to see an exciting country. Suffice to say that never happened, but at least now I know what The New Zealand Embassy in Santiago, and the slightly intimidating Chilean Police look like. One phrase I’ve been using here a lot explaining my story to every Taxi driver has been ‘Mal Suerte’ – Bad Luck. It summises most of my experiences during the past week, but despite the travel hiccups the near week of proper travel I’ve had here has been fantastic. As an upside, I have learnt some Spanish, and I now would like to learn the language. I’ve been surviving with Broken Portuguese, but despite pronounciation differences, there is a huge overlap in the languages. The Brazilians who travel elsewhere in Latin America speak ‘Portunol’, which is the name for the broken Iberian Creole that links the two languages. Through that they can communicate to a decent degree, however as my Portuguese is limited, even my ‘Portunol’ was terrible. I didn’t have a great first impression of LATAM airlines. I flew out of New Zealand on the 4th July, for a thirteen hour flight from Auckland to Santiago. From there it was supposed to be a four hour flight to Rio two days later. I say supposed to be two days later, as the first flight was cancelled. We waited an hour and a half in line at Auckland airport, only to be told to come back tomorrow, and hopefully would be on a rescheduled flight. To make matters even worse, there had been another flight cancelled the day earlier. On the 4th July, there were three flights to Santiago filled with travellers, when normally there was only ever one. While waiting in the line, I met a fellow Kiwi who was off to Brazil for nearly the same length of time. While I was lugging around my heavy suitcase, backpack and laptop bag, he kicked his miniscule duffel bag down the line, as we moved to collect our hotel vouchers. He didn’t speak a lick of Portuguese, nor had really any idea of what he was expecting in Brazil other than presumably beaches, women and alcohol. I was of course prepared for everything, and overpacked, explaining all the potential scams and pitfalls, and some of the most useful Portuguese phrases. Apparently his friend had lived in Brazil for years and said essentially to just bring himself and a spare change of clothes, which is apparently what he did. We were put in the Holiday Inn in Māngere Auckland and I was genuinely surprised at the quality of the place. ‘Holiday Inn’ as a brand has always exuded mediocrity to me, but it was a lovely hotel. After a meal and a nights sleep, I headed to my Aunt and Uncles place to fill in the afternoon before flying out properly. As a pleasant coincidence, I was seated next to the fellow traveller to Brazil I had spoken too the day before, and so had someone to talk to for the whole flight. Once onboard, I had a better impression of LATAM. They’re modern and just as good as any of the other national carriers I’ve flown. As the flight descended into Santiago, I was reminded of Canterbury, and the association with New Zealand really has been present throughout the duration of the trip. The snowy peaks of the Andes surround the city, and there is nothing but farmland on the outskirts as you descend for landing. It was at the Airport where my problems really began. After half an hour going through immigration, I waited a good hour or more for my suitcase. I think there was some confusion with the connecting flight, and so I was not in a good mood going into customs. I remember panicking for a short while wondering where my passport was (It had been in a pocket in my backpack) as I believed customs needed it, and took it out to grip tightly alongside my laptop bag. Customs didn’t even need the passport, but immediately after customs, the Arrivals hall was overwhelming. Most Arrivals halls are filled with people who genuinely care about the arrivals, but here it is a marketplace of vehicular vendors, each competing for your attention and your money. The Arrivals Hall here was filled with Taxi Drivers and Scam Artists. I had several people immediately shouting “Taxi!” at me, but I waved my hand to gesture the negative, and tried to find a phone to contact my host. After walking away from the Taxi drivers I was greeted as a “friend” by a young looking freckled man in his late 20s or early 30s, who offered to help me. Alarm bells should have been ringing from there. After all, any stranger who claims to be your friend in a foreign country never will be. However he did have a cellphone and what had appeared to be some legitimate ID card. We walked down the hall, and he offered to take my suitcase. My hands were full, and I think he did hold onto my suitcase for a few moments, but I had kept my passport and hand luggage tightly in my grasp. I showed the man the number of my Airbnb host on my Smartphone, and he called him for me, speaking in Spanish. I couldn’t talk to him at all, but was told that I could simply arrive at reception and pick up the keys to the room. While he made the call, I looked closer at the lanyard and realized that all he had was his Chilean ID card, essentially the mandatory identification that every Jorge and José in the country has. My “Friend” then spoke to his accomplice, and suggested I book a taxi with him. I told him I had “something to buy first.” and made my way to the TRANSVIP official taxi stand. However, as my “friend” realized that I was going to book a taxi, he didn’t seem too disappointed. I believe that somehow in a moment of distraction, my passport was taken from me by his accomplice.The only other option was leaving it inside the taxi, but I looked briefly inside and didn’t see anything. It was half an hour from the Airport into Downtown Santiago, and middle aged Taxi Driver spoke no English, but at least let me use his phone. I called my host and he confirmed what I’d been told before – I was basically staying at a serviced apartment, and the receptionist would give me the key. 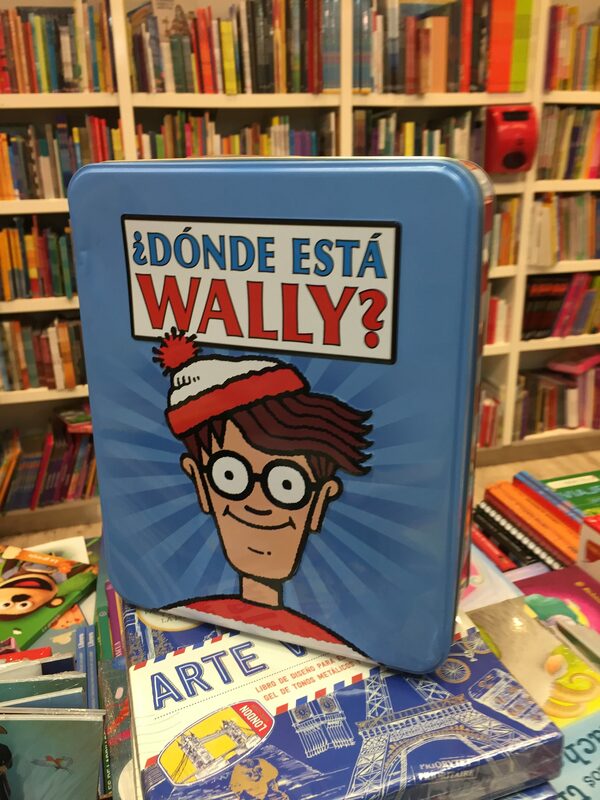 It was only after arriving at my Airbnb, and being asked for my Passport that I realized it had gone missing. Regardless of whatever had happened, it was gone alongside my other credit card, and I was not going to ever get it back. I sheepishly informed the receptionist that I couldn’t find my passport. He was largely apathetic to whatever plight this gringo was in, but gave me the keys. I made it into my room, and immediately searched my backpack and all my luggage, but it was all to no avail. In that moment I wanted to cry and be left alone, but the sound of the traffic seemed to enter right into the room and wouldn’t afford me any tranquility. Instead I made my way downstairs and asked for reception to make a phone call. They called my host, who in turn called the Taxi company, who promised to call back if something was found. I wandered down a foreign street, trying to force a grin to replace the inevitable tears, and in search for a meal. 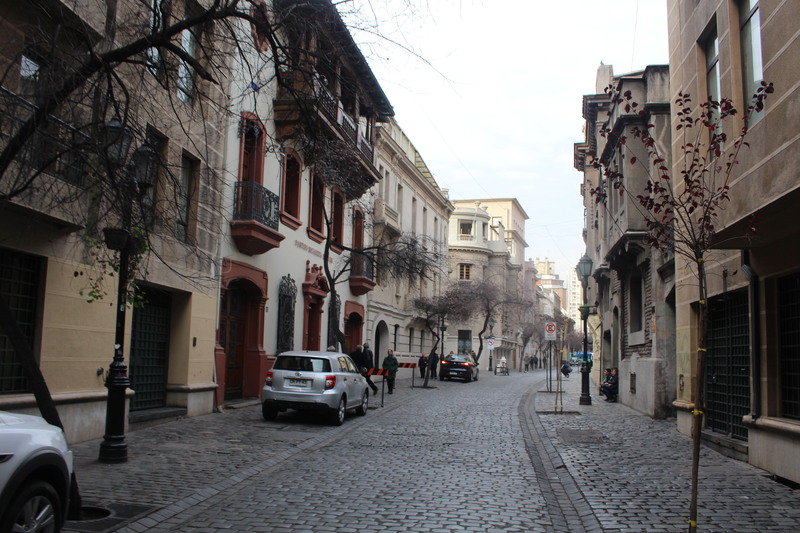 My first impression of Santiago was that it had all of the disadvantages of a major city, and none of the advantages. There was the traffic and noise, but nothing to compensate for them. Prices seemed expensive and nobody was happy. They were rushing to wherever they needed to go.Of course there were benefits to Santiago, and I would soon find the, but at the beginning they proved elusive. I was tired and hungry as I wandered the streets around Portugal. The streets here at night were overwhelming; everyone was rushing across the broken pavement, wanting to get away from wherever we were. The only food places seemed to be Sushi, with no English speaking (or it seemed Japanese speaking) staff. After finding one who could tolerate my broken Spanish, I ordered Sushi and a Burger. The owner had a smug look on his face, and had given me some nickname on the order, laughing at the Silly Gringo who had for whatever reason decided to stay here. After getting the food and some beer and snacks from a convenience store, I returned back to the Airbnb. It was without a doubt one of the most revolting things I’d ever tasted. One bite, and it tasted like they had used rotten rice. The burger was mashed avocado and Chicken, but had no real flavour other than a tiny dollop of Mayonnaise. I threw both in the bin, and dined on a bag of popcorn and beer. I wouldn’t have a proper meal until tomorrow night. The room itself was pleasant enough, small but well afitted. My place was reviewed well, but nobody had mentioned the NOISE. I’ll admit I’m a noise sensitive person, but I can usually tolerate a bit of traffic, especially when staying in a high rise. This was unbearable. It was as if someone had left the window wide open, even though the room was fully shut. Normally things will quieten down after Midnight, but not here. It’s the only place I have ever stayed where it was mandatory to have earplugs. I couldn’t have gotten a nights sleep otherwise. Car horns kept blaring and the people . Also, in the middle of the night there was a powercut to the building. This place had 4+ stars on Airbnb, so let’s just say that I would reconsider using it exclusively in the future. For my trip to Brazil I had planned on using Airbnb everywhere, but I realize now just how much of a gamble it can be. Hotels have a certain reputation to uphold at the prices they are charging. My advice to any potential travellers, is to google the nicest part of any city and stay there in Airbnb. At least then you won’t likely have the noise problem, and any issues will be with the apartment itself. That night was awful, in every respect imaginable, but I made it through. I had called the Embassy the night before, who told me to turn up before 1pm as it was only open for three hours. After checking out of the Airbnb, I took a Taxi to the Airport Arrivals terminal. My Taxi driver had dropped me off in the wrong section, and so it took me asking a few people “¿Donde esta a embarques Internacionales?” before I could get to the taxi terminal. My receipt had the name of the driver I was supposed to have taken, which would have made things easier for tracking lost belongings, but there were three different TRANSVIP Taxis lined up at the Taxi stand. Evidently I had taken the wrong driver, but they assured me that if a Passport was found it would have been handed in. Nobody had handed anything in. One of the Taxi employees took me to Airport Security, but nobody had handed anything in here either. It was now close to 12, and I needed to get the embassy. My finger was bleeding from stupidly cutting it the night before, and I went through two or three band aids from having to lug all my luggage around as I hadn’t checked in anywhere. There I was, the bleeding and flustered gringo, with no idea how to navigate the Airport, and without any means of getting home. What annoyed me the most was how the whole debacle was preventable. If I had used the neck wallet as its intended purpose (i.e. wrapped around the neck) I wouldn’t be writing this now. Instead, I would be on some beach in Rio, having my wallet and passport mugged in the traditional Brazilian manner. After the wasted trip to the Airport, I was running out of time to get to the embassy. 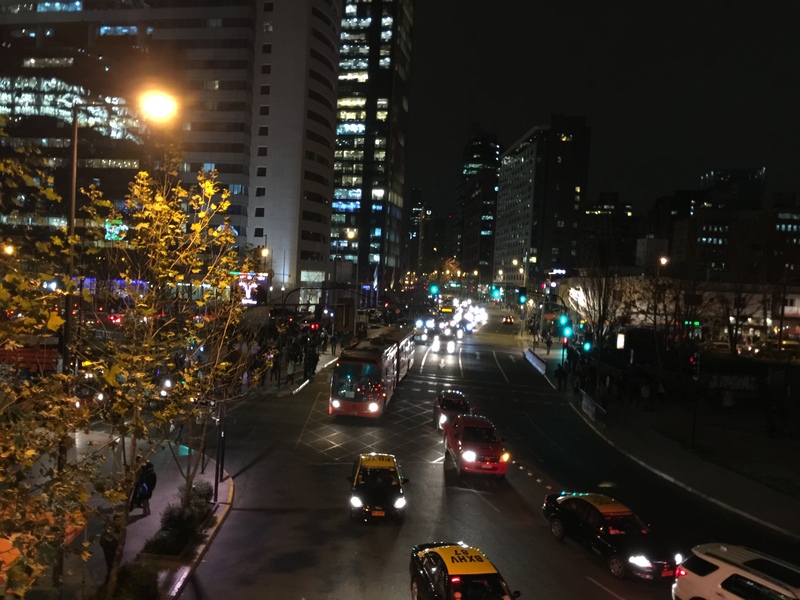 I had two nights booked at a place near the airport (only two as I was unsure how long I would be here), so I dropped my luggage off, and with little time to spare took a Taxi into central Santiago. In the first few days I must have spent hundreds on Taxis alone. The cost of one from the Airport into town was nearly $60 NZD. I turned up at the embassy hungry and exhausted, my brunch being a cheap muffin and a bottle of water bought at the Airport, eaten in the back of the Taxi. The Embassy was right in the heart of the new financial district, on the twelfth floor of one of the cities nicest skyscrapers, but I had little over half an hour until it closed. I was provided with a pass at reception to take the lift up to the Embassy. I had expected the Embassy to be a sort of informal lounge for stranded travellers, where I could have a snack and make a phone call. Unfortunately, it was more like a corporate waiting room. You don’t actually go into the Embassy where people worked, you just waited in the waiting room. It was incredibly hot as well. It wasn’t even fifteen degrees outside, but it was as if they were pumping heat into the room on full blast. 2 – Have an Emergency Travel document issued by the Embassy within two days. The second option sounded great, until I was given the news that there were no guarantees it would be accepted in Brazil. Aside from assorted tinpot beacons of instability, the only major nations that wouldn’t guarantee acceptance of an Emergency Travel Document were the United States and Brazil. I could book a new flight to Rio, but the likelihood of me being immediately sent back to Chile was very high. I faced the realization that I was not going to be able to go to Brazil now. The Embassy was closing just as soon as I was given the information, and after handing over my details I began the process for getting an Emergency Travel Document. The next day or two was spent sorting everything else out. I called and emailed my family at home explaining my ‘Travel Nightmare’. I also called my bank and cancelled my spare Credit Card that was stolen. 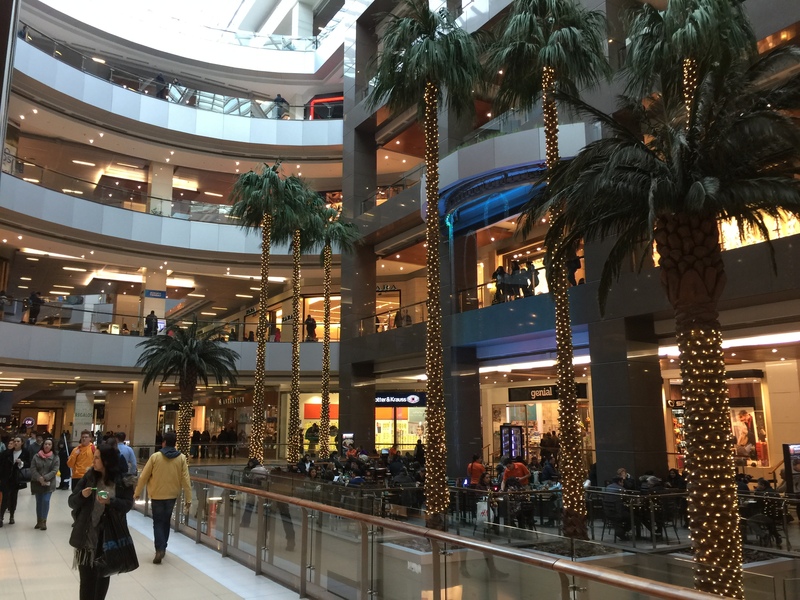 For the Travel Document I had to get passport photos printed, and so visited The Costanera Centre, one of the biggest shopping malls I’ve ever been to. It’s next to the Grand Torre/Sky Costanera, which is the tallest building in South America. My advice for any traveller is to make sure you have Physical and Digital copies of all your important documents. Scans of your travel insurance policy, passports, Photos for ID etc both on your phone/laptop, as well as printed in a document holder. I also got a Chilean Sim Card through Entel at the mall. What Else? Oh my flights of course. I booked new flights leaving at five past Midnight on Thursday, so I had until the end of next Wednesday in Santiago. The cost of the one way flight to Auckland was more than my return flights to Brazil. I also obtained a ‘Constancia’ or Police Report from the Chilean Police. This was only possible due to the staff at City Express Aeropuerto, who provided me a driver and translator. If it weren’t for the location, I would spend all my time in Santiago here. The staff were wonderful, the only real annoyance was the poor Wifi. Regardless of what hotel you stay at however, Chilean hotels add 19% tax to a Debit Card for the conversion cost in Pesos. The only way to avoid this is to pay in US Dollars, but there is a withdrawal limit at ATMS of $250 USD or so, so bring your cash in advance (or have paid beforehand) if you want to avoid this. There is also a 10% Tax added on all food when dining out, but this is calculated for you when you receive your bill. It was only really by Friday, having picked up my Emergency Passport that I was free to explore the city. 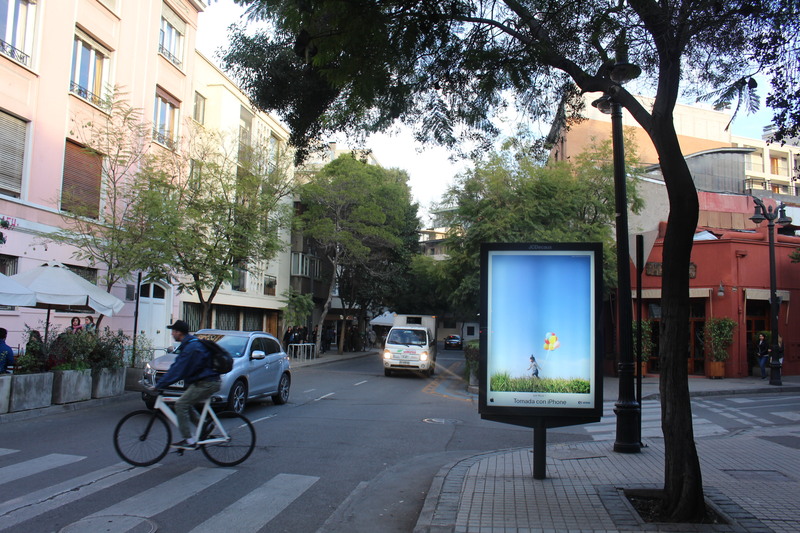 I checked into the Hotel Diego De Almagro in the lovely leafy suburb of Providencia. This was completely different to Portugal, the street where I stayed before. Here people walked leisurely through the streets, and seemed much more relaxed. On Saturday I had a breakfast of Empanadas at Castano, the local bakery chain. These are the Latin American answer to the meat pie, filled with all sorts of stuffings. I then took the Metro into the Plaza De Armas the heart of the old city. 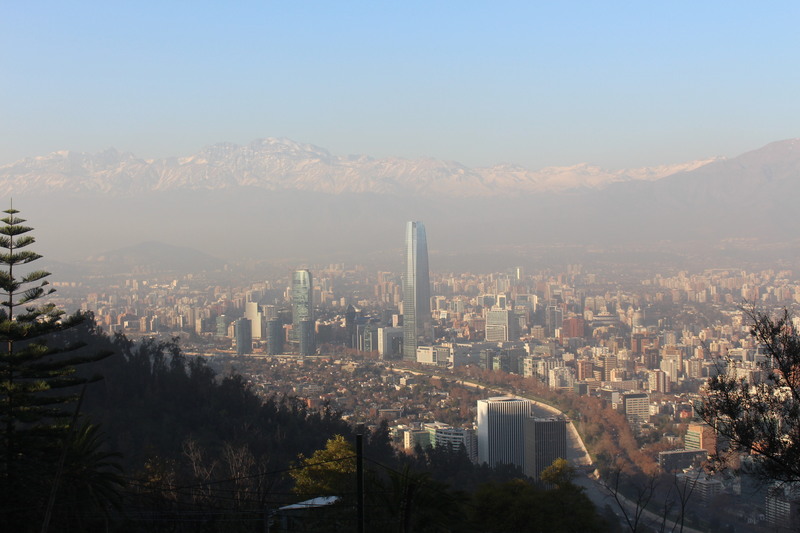 Santiago was established in 1541, so the city is nearly 500 years old. Despite that, most of the “Old” city was rebuilt in the 19th century after a devastating earthquake. This includes the lovely Metropolitan Cathedral, which is as ornate as any of the Cathedrals I visited in Paris. One can’t help but have a sense of wonderand profound admiration for the divine as you look at the frescos and the ornaments on the walls and along the nave. Unfortunately there was no Photography allowed inside the Cathedral, but this is better than I could take anyways. I wandered around the streets near the Plaza. I had read in a guide that this area was home to the local Peruvian community, and I can see why. Santiago is booming. 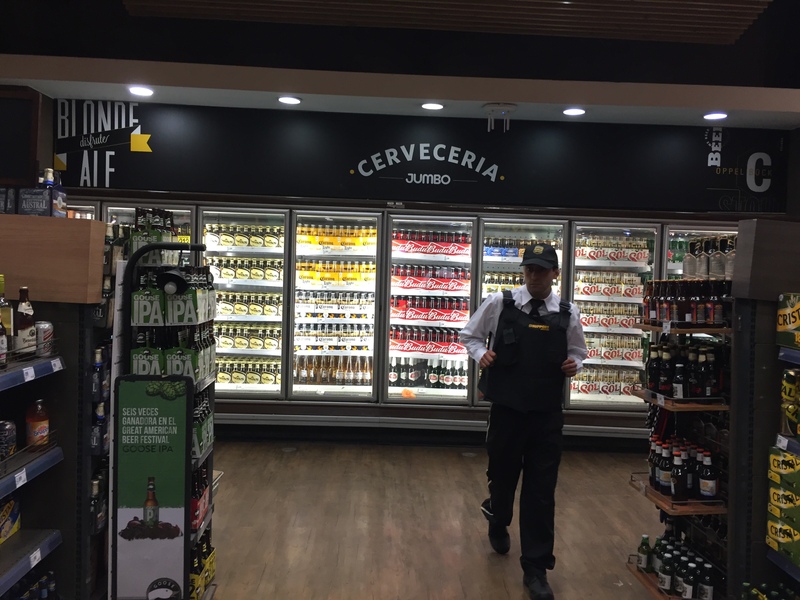 The economy here is better than anywhere else in Latin America, and the other Latinos have noticed. 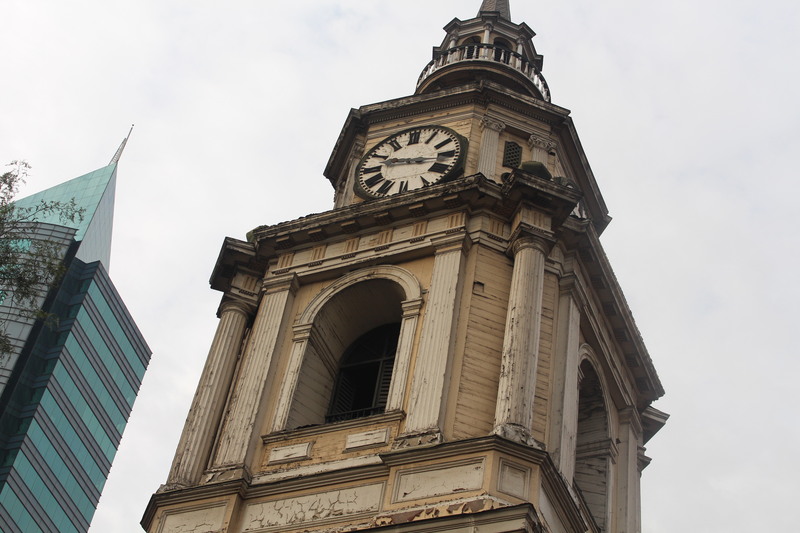 The City is aflush with immigration – Especially from neighbouring Peru, but from all the neighbouring countries as well. 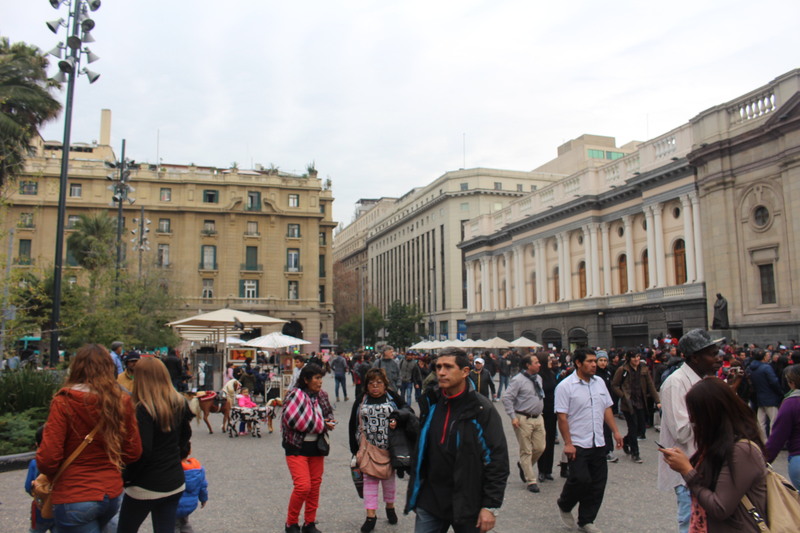 The Peruvians have seemingly colonized the Plaza De Armas as Nueva Lima, and you will find Peruvian restaurants and trinket sellers everywhere in the central city. I would imagine any Latino in the financial sector would find Chile immensely attractive at the moment. It was already tomorrow in New Zealand by the time I had arrived. I could do a spiel about the regressiveness of South America, but Chile is surprisingly modern. In many ways I wasn’t flying into the past, but towards the present. In amongst the financial towers of Providencia you would think you were in Canada or The US. It all glistens and sheens, and the vitreous facades glow in the sunlight. Everyday new buildings are going up and rising above the streets below. Opposite the first and last places I stayed, there were construction sites creating new apartment blocks. 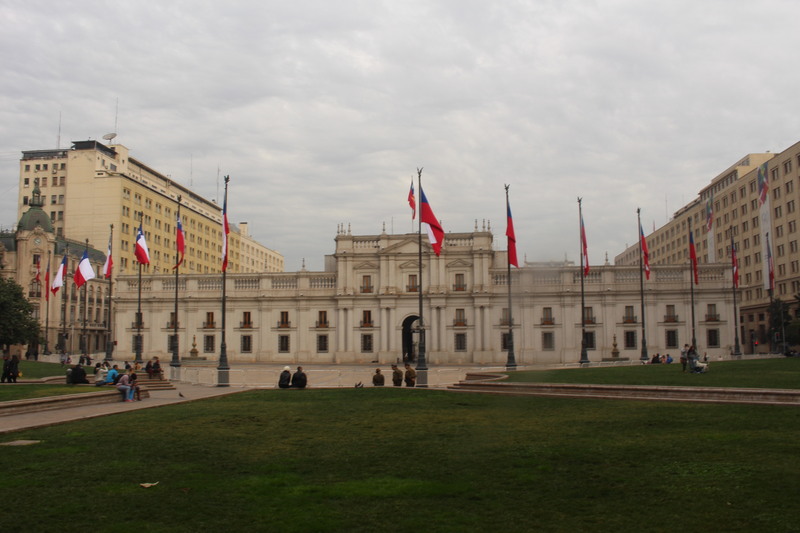 – The Moneda: The Chilean Presidential Palace, which was famously bombed by Pinochet in the 70s in a military coup that deposed Salvador Allende. 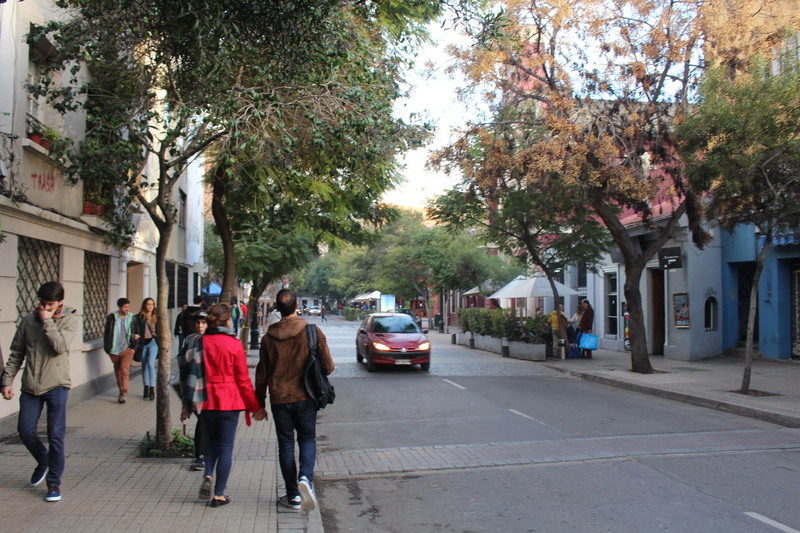 My favourite part, without a doubt was Barra Lastarria, close to the Santa Lucia neighbourhood. Here we took a break from the tour. My immediate thought was that we were back in Paris. 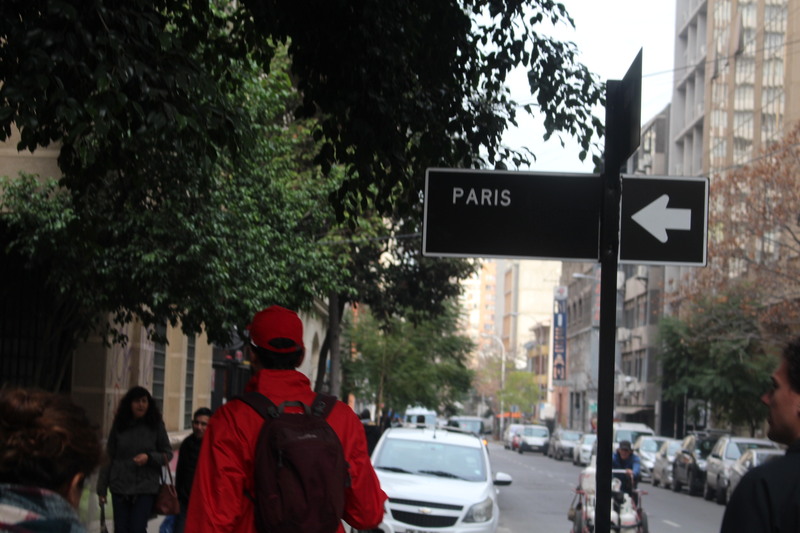 ‘Paris – Santiago’ looks a little like the Marais area of Paris, but Barra Lastarria looks like the beautiful city I fell in love with as soon as I arrived there. I had an espresso here while we took a break from the tour, but I made sure that I would be back here before I left. 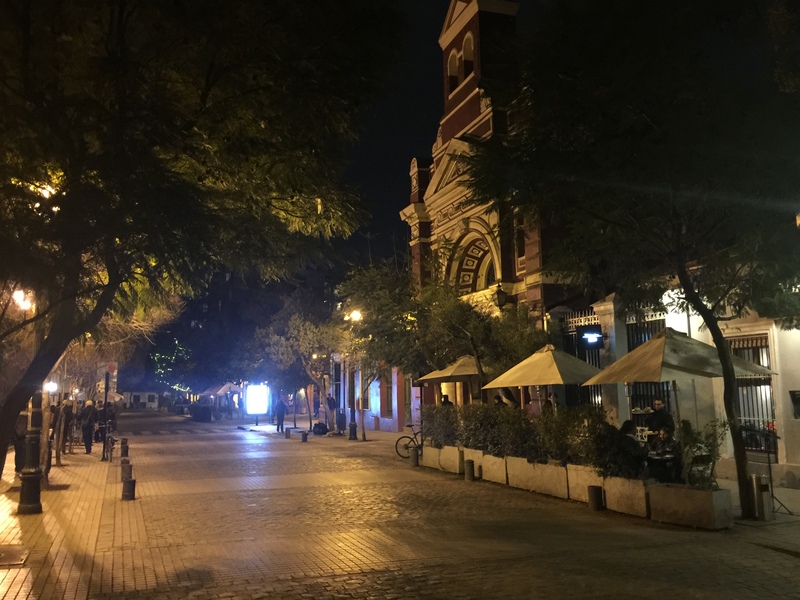 We walked onwards from Barra Lastarria to the bohemian party capital of Bellavista. We concluded the tour at the Chilean Poet Pablo Nerudas home, at the foot of Cerro San Cristobel – the tallest hill in the city. I gave the tour guide 10,000 pesos and thanked him hugely. He had given a great explanation of Chilean history, and I saw more than I ever would have discovered myself. I don’t know why I had an aversion to tours. I think it was the idea of true freedom of travel, but structure is good at times. Of course there are always limits to how much freedom you have while travelling, unless you own your own aeroplane. I’m still put off by the idea of a week long travel tour, but in the future I would absolutely do day trips and city tours. I think it’s the best way to see a city. After the tour, met a German and Korean guy and we had dinner at a seafood restaurant in Bellavista. Nicer than dining alone, and probably would have just got takeaways (Comida para llevar) had I not gone on the tour. Meeting people is the best one of the best parts of travel. Nowadays everyone is on their phone in hostels, or simply staying in Airbnbs by themselves, so you have to put yourself out there. I had an awful nights sleep on Sunday. I was up till 4 or so in the morning, and so slept in until well past breakfast. I left the hotel hungry and needing a coffee. To my displeasure, everything was shut. This is a Catholic country and they keep Sunday Trading hours. I walked around near the metro station, but couldn’t find anywhere. It was only a convenience store that was open. I bought some Empanadas, water and a coffee (It was Nescafe, but I didn’t mind) and there was nowhere to sit nearby, so just decided to stand and eat near the convenience store down a side street. What I had thought was a quiet street, soon became a busy thoroughfare. 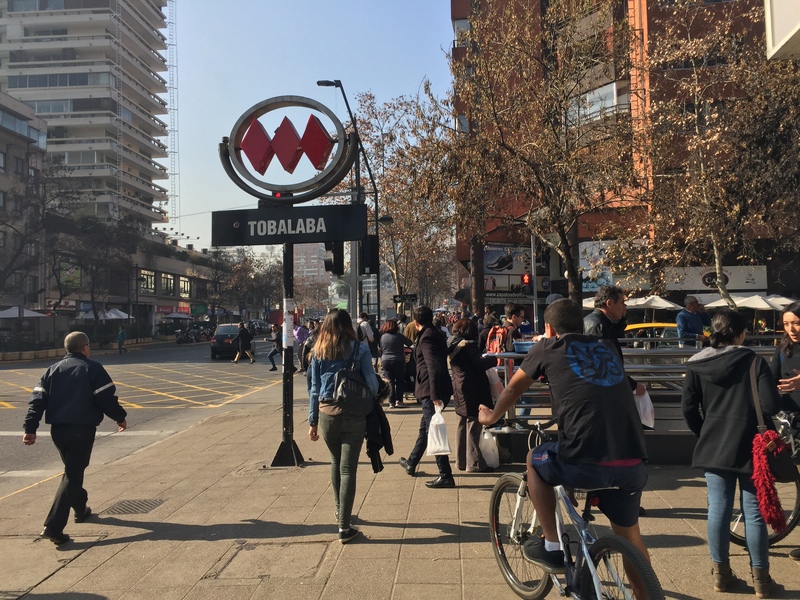 It was the main street between the metro station and the Costanera centre. I ate my breakfast with my back turned to the crowd. A Stray Dog appeared, looking enviously at my breakfast. fUnlike in many other cities, The Stray Dogs of Santiago are all looked after by the locals. There are little shelters in the public parks, and the locals feed them with bits of food. I think they would be less partial to them if they were everywhere, but it’s only occasionally that a dog will show up in front of you with his tail wagging, looking for a meal. Before I had flown here, I had gotten injections at the travel doctor for Yellow Fever (Another travel fear that didn’t eventuate), and was educated as to the horrors of rabies. Once you contract the disease, it’s fatal in every circumstance. The terrifying thing about it, is that you only know you have it once the symptoms appear, and by that stage it’s too late. Thankfully none of the dogs bit me, but the idea was on my mind. Had it happened in Brazil, I would have had to have flown back to Chile to get the vaccine. To wake myself up, I went to Fantisilandia, the local amusement park. It was only $30 NZD a ticket, which is a bargain compared to many of the others. This wasn’t exactly Disneyland, but there were plenty of rides, and some cool rollercoasters. I couldn’t be bothered trying them all, but I’d recommend visiting for a fun little distraction in Santiago. I probably only spent three hours here, but it certainly woke me up. I was soaked on one of the water rides. Normally I only expect to get a little wet on the water rides, but the Ponchos for sale should really have been a telltale sign. Fantisilanida is located in Parque O’Higgins, one of the bigger urban parks of the city. There are plenty of playgrounds for kids, and spaces for young Santiaguinos to play sports. From here, I took a taxi to the Barra Italia, the nearby Italian neighbourhood. This is another one of the leafy bourgeois neighbourhoods, and aside from good food you can find antique stores and artistic wares for sale. After wandering around here, I got myself an early dinner of thankfully edible Japanese food to takeaway, and made sure to get a good nights sleep. On Monday I woke up at 6am. This is very much a rarity for me on a holiday, but I had a tour booked to head to the Andes. I am not a morning person, rather I mourn the mornings by sleeping in for as long as possible. Today was also the only day I made use of the hotel breakfast. One doesn’t really see “The Andes” unless they’re spending weeks in Chile, you only see a small part of the mountains that divide the country. Chile is defined by the Andes – They provide the Volcanic soil that makes it so fertile. They also cut it off from neighbouring Argentina and demarcate the natural border of the country. The Driver picked me up at the hotel by 7am, then we spent another half hour picking up the others. 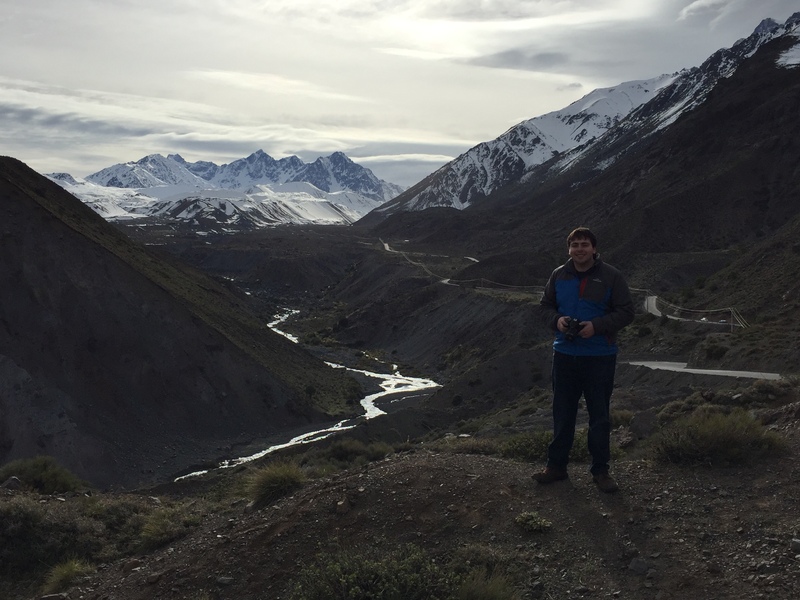 We were then off to Cajon Del Maipo – the town at the foot of the Andes and the Maipo River, and home to Chile’s first silver mine. We stopped for a drink at a little cafe in the mountains. Due to environmental restrictions, they couldn’t put the fireplace on, and it was freezing. It was colder in the cafe than outside, but the hot chocolate provided a little warmth. We then got back in the van, and began the ascent high into the Andes. I was the only Kiwi on the tour, but there was an assortment of foreigners. Our Guide did the tour in Spanish for the Uruguayan visitors, and English for myself and the Aussies.Our Guide was absolutely fantastic, and had a really great enthusiasm about showing off his country. We were all a “Big international family” for the duration of the tour. 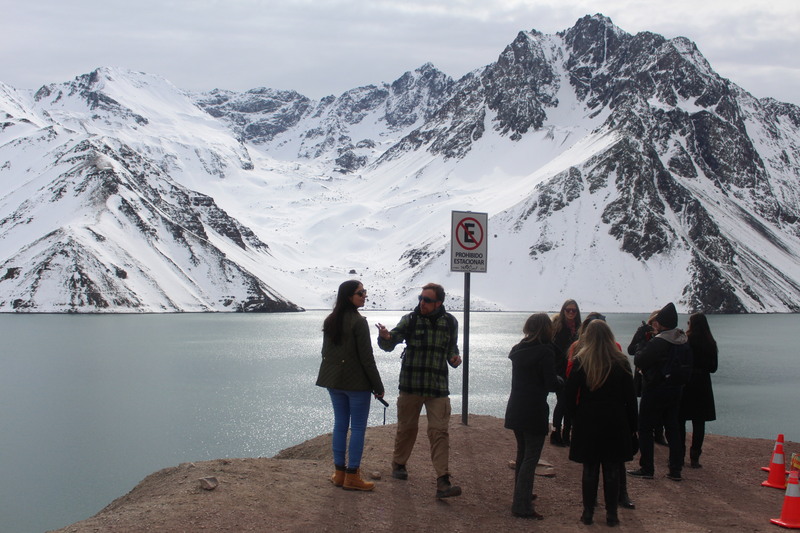 We stopped to take Photos at various points along the way, but drove to the Embalse el Yeso reservoir. Santiago gets much of its Fresh Water and power supply from the dams and reservoirs near the Andes. 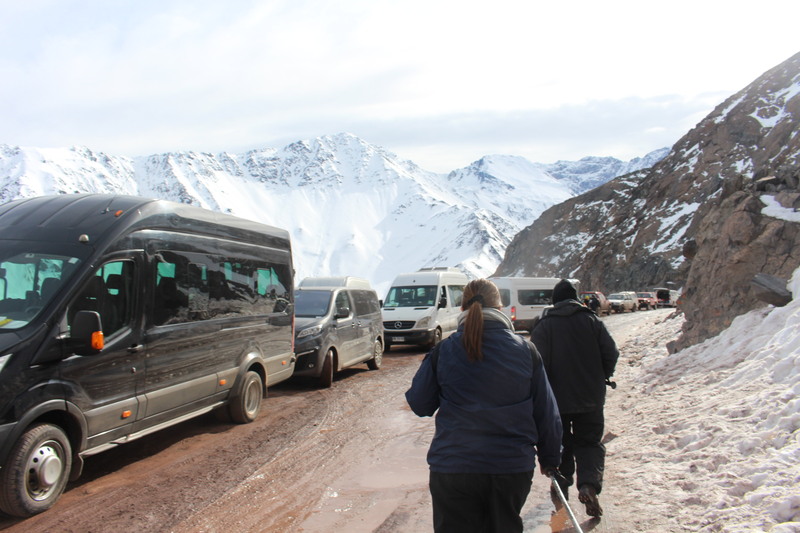 There were about twenty other Vans parked by the road, as this seems to be the most common place for Tours to The Andes to visit. We made our way back downwards, and stopped in amongst a mossy reserve for a picnic; the mountains we were next to before all visible in the distance. What struck me was how similar the scenery was to New Zealand. The mountains are undoubtedly more impressive here. 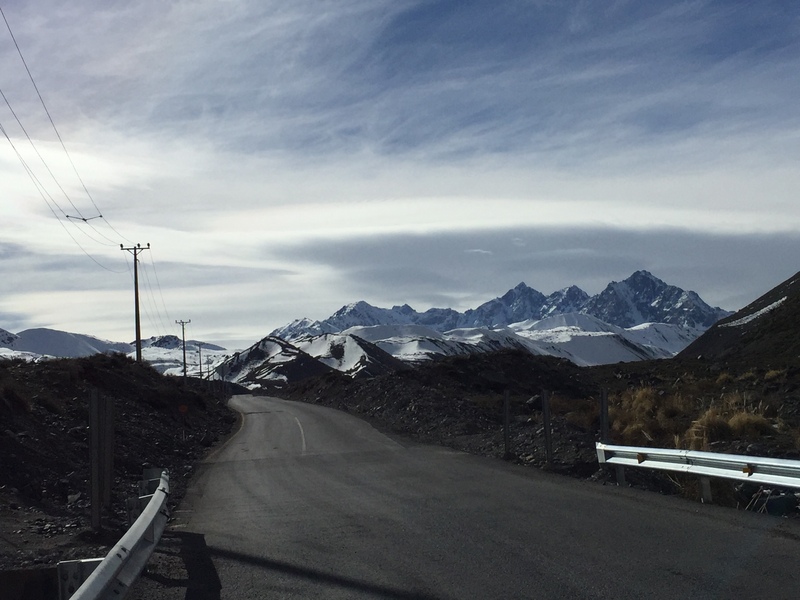 The closest thing that compares is near Mt Cook, but the Southern Alps are nowhere near as expansive as the Andes. 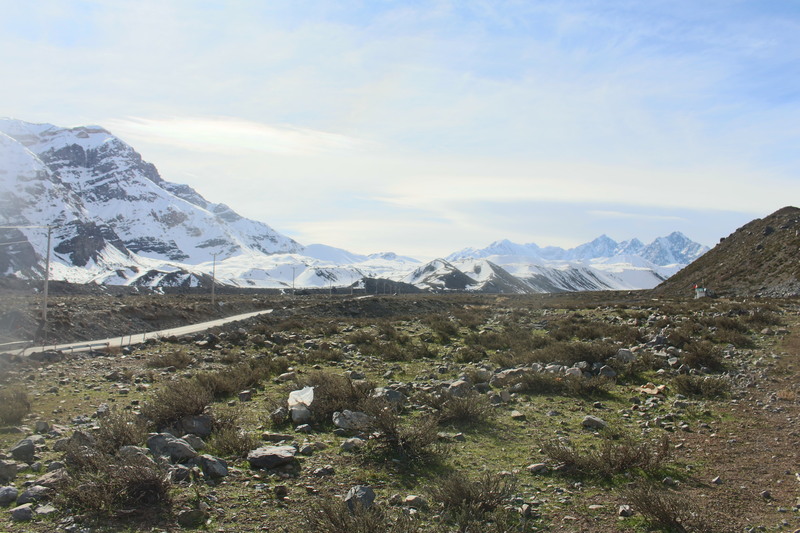 But the dry earth, scrubland and snow capped peaks looked almost identical to the area around Arthurs Pass. We sampled a lovely Chilean Red next to a small stream, with nothing but the sound of our conversation and the running water audible. It was wonderfully tranquil, and was one of those blissful holiday moments where I felt both far away but also close to home. We closed the tour with Empenadas and a beer at a small restaurant further down the mountain, and headed back into the city. Here’s a link to the tour and I would recommend everyone take it if they visit Chile. It’s not the kind of thing you can easily do by yourself – I would not want to be driving round those narrow mountain roads. After the early start yesterday, I enjoyed my regular holiday sleep in. 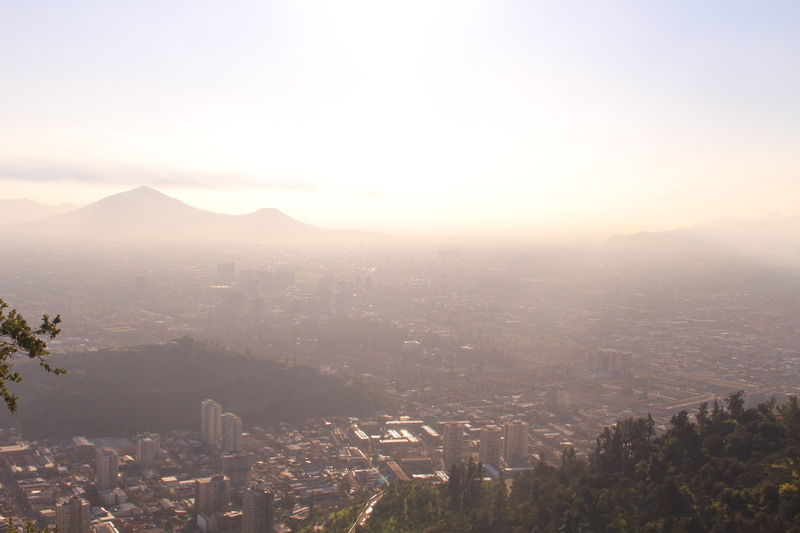 I decided today to head to Bellavista and in particular Cerro San Cristobel to get some shots of the city. 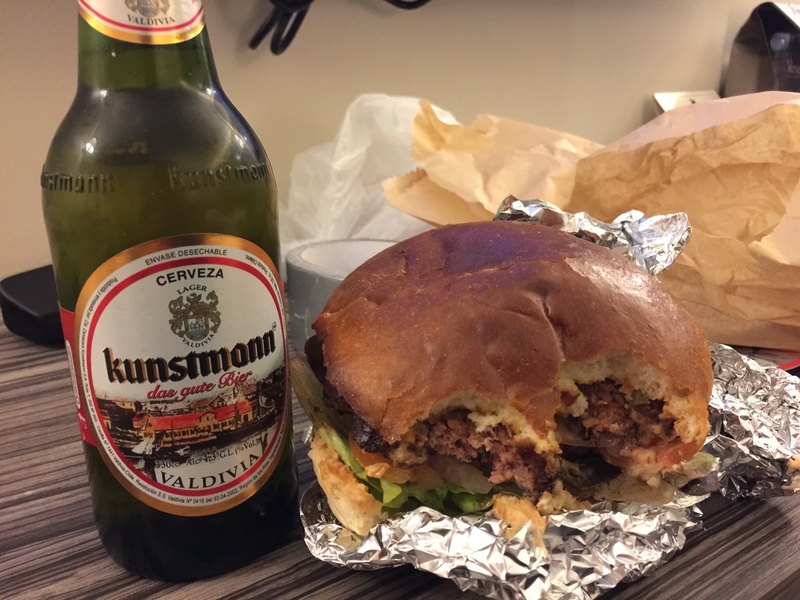 Last night I had a great burger (I know, not very Chilean) at a local cafe/deli called Delicia and stopped in that morning for an early lunch. I had a fantastic Pesto Pasta, and I would really recommend the place. It became my “local” for the next few days. Bellavista was only three or four stops on the Metro from my local in Tobalaba. It was five minutes walk tops to the Metro, so I really have to recommend the location my hotel. It was the early afternoon in Bellavista, and the lively party neighbourhood had turned into a quiet bohemian street where students and tourists mixed. There are several universities round here, and street vendors hawked their cheap food. I stopped at a market and bought a few tourist trinkets, then made my way to San Cristobel. The normal way of approaching the hill was to take a cable car, but the line stretched quite literally onto the street. I underestimated just how difficult the climb was, “Yo quiero caminar. Cuánto tiempo?” being met with “Treinta Minutos” by a man at the Kiosk. It would have been 40 minutes minimum, and I am am so glad I bought water. This might be classified as a hill, but the path is as steep as some mountains. It’s an easy path to navigate, but climbing it is another matter. My back was soaked with sweat as I finally reached the top. As you can see from the views, it’s quite a climb to the top! Some insanely fit mountain bikers passed me by as I made the walk upwards. 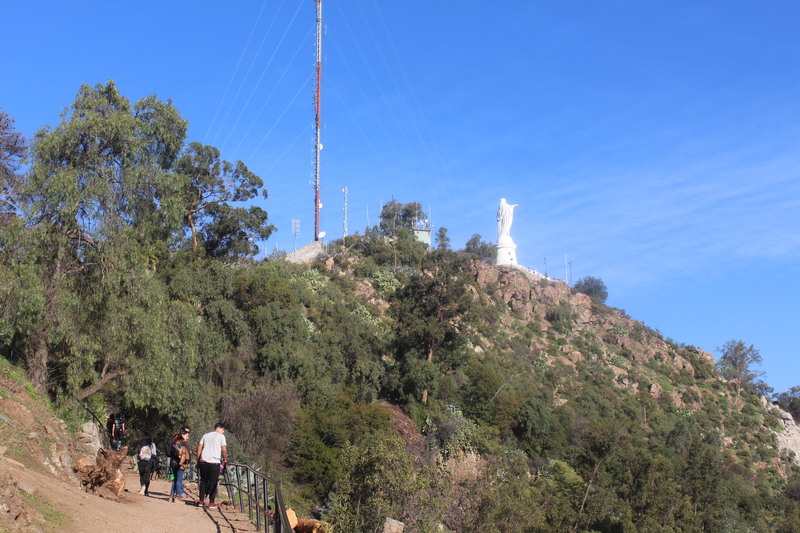 At the top of San Cristobel is a shrine to the Virgin Mary. It’s not quite Christ The Redeemer, but it’s still a lovely statue. There is also a gift shop and a convenience store selling drinks and ice creams. One of nicer drinks other than the local poison, is the iced mate they sell. It’s even nicer than regular iced tea, and after a long climb up it’s very refreshing. Thankfully the walk down was easier, but either direction is tough on your shoes. I took a taxi back to the hotel, had a shower and got ready for dinner. Getting to my restaurant proved more of a hassle than I imagined. I left with twenty minutes to spare, but it was rush hour in Santiago and I understimated the traffic. Never underestimate the traffic in Santiago, because it could easily kill you. The traffic in this city is crazy. In some ways I am glad I didn’t have to drive in Brazil. I had seen videos of the traffic in Brazil, and I knew that Sao Paulo and the big cities had crazy drivers, but however bad the Brasileiros might be, I know that I couldn’t drive in Santiago. The traffic is absolutely crazy. People seldom indicate, they just veer their steel contraptions between the lines, calculating that the car behind them won’t speed up and crash into their rear. Even being a pedestrian has some risks, with the aggressive drivers here. At pedestrian crossings, the drivers do not wait for people to cross before beginning to turn. Drivers will routinely be inside the crossing just as you are making your way over, and once you pass the one metre threshold between you and the steel beast that could easily bowl you over, then they’re already turned into the next street. Anyways I was nearly I was nearly half an hour for my restaurant reservation. I had met a girl from Mexico on the tour yesterday, and we both wanted to try one of the nicer restaurants in Santiago – Bocanáriz . If you’re wanting to sample the wine, this is the place to go. 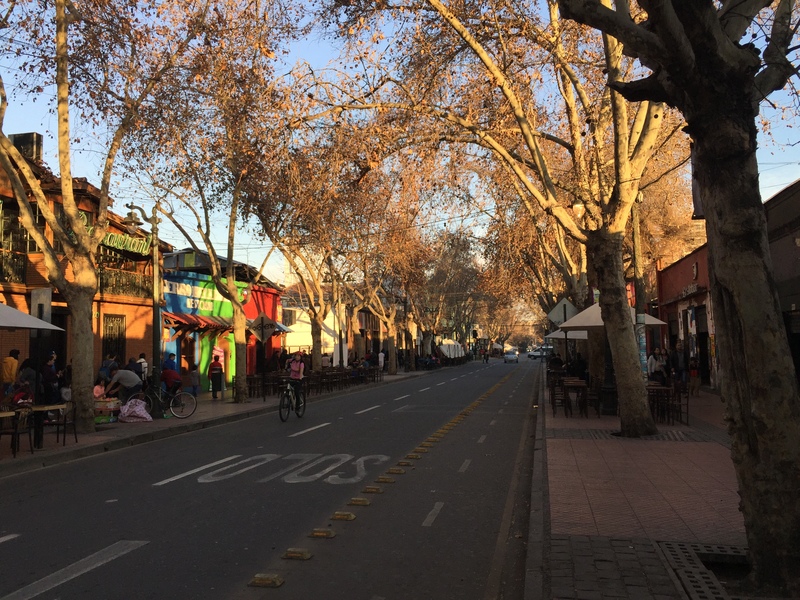 It was in Barra Lastarria, the lovely French looking suburb. I apologized profusely to the staff, and to my Mexican Friend, but finally it was time for dinner. We tried the three course pairing menu, which was very good, but also expensive – it will set you back about $80 NZD. 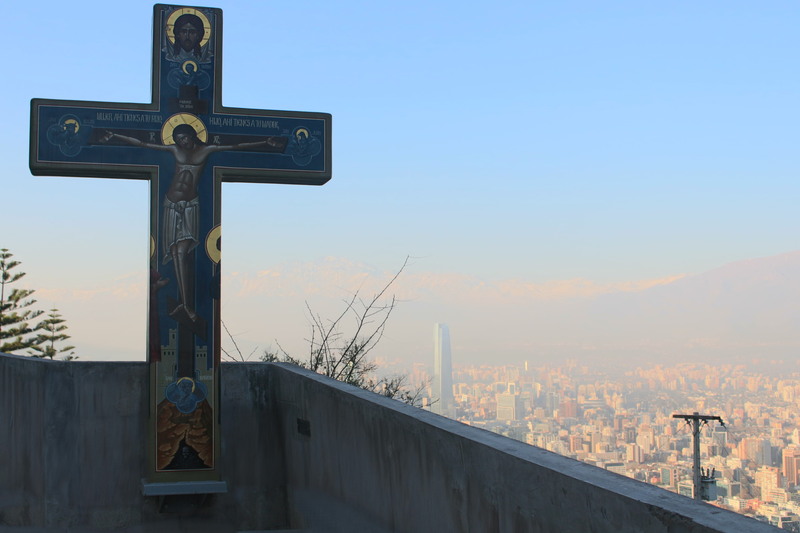 As a special treat to finish off my time in Santiago though, I’m glad I went. For the main I had the Chilean Beef Asado paired with a lovely red. The meat was incredibly tender and presented with the finesse of a five star restaurant, and we finished it all off with a Passionfruit Mousse and Gelato, which was paired with a glass of the local Pisco spirit. You sample four different wines with the main and appetizer, and you can buy discounted bottles at the restaurant. Their menu is incredibly extensive, and covers all the various wine regions throughout Chile. Unlike California, or Australia, there are numerous wine regions throughout Chile. Today is my last day in Santiago. I was planning on visiting Valparaiso, the historic city an hour from the coast, but I would have been incredibly rushed, and it’s better to have a days rest on the final day. 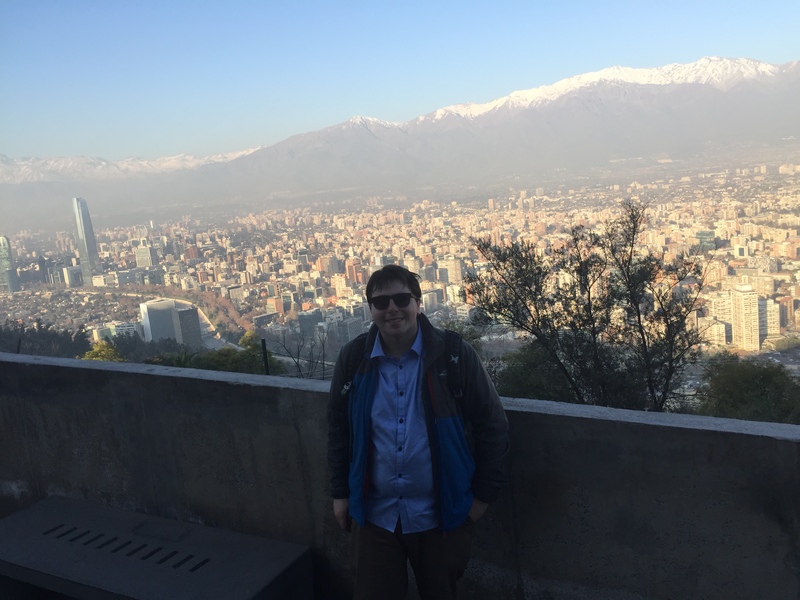 Despite being totally unplanned, I have enjoyed my near week in Santiago. The cost of Chile has surprised me a little. It’s not a cheap place, in fact I would say it’s comparable to New Zealand in terms of dining out and accomodation. 1000 Pesos is roughly $2 NZD to give you an idea of the costs here. You can find cheap lunch places for around $8 NZD (4000 Pesos) around the Plaza De Armas, but it’s the same in New Zealand as well. Taxis thankfully are cheaper than in New Zealand, and Uber is even more affordable. 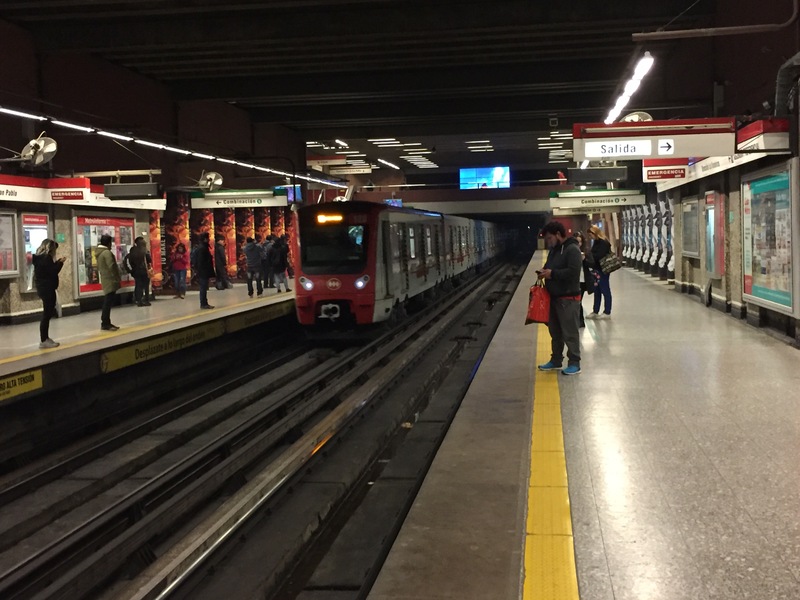 The Metro is fairly reasonable at 1000 pesos a ticket, and is easy to navigate. Aside from the Airport, I have never felt particularly unsafe here. I even, rather stupidly went out for a midnight walk in downtown Santiago, but was never mugged or robbed, though I would be lying If I didn’t feel a little nervous then. The first few days taught me how lonely travel can be. I can see why so many people travel with their spouses or girlfriends. Being away from your family or anyone you know can be daunting, and oftentimes you want company. One of the taxi drivers was telling me to “Make a love” with the local girls at the hotel, but that never happened. I did have a marriage proposal at a convenience store buying Empanadas, which was kind of sweet, but I don’t think was particularly serious. The Chileans however are friendly and accomodating, and even those who don’t speak English will make an effort. In a continent with so many problems, Chile is an example for the others to follow. This place also reminded me why I love visiting big cities. It’s the same reason why I’ve loved Hong Kong, Paris and all the other big cities I’ve visited. There are seven million people in Santiago, and you can feel the energy they bring.In Santiago, the city is on your doorstep. You can get lunch, go shopping and take the metro all in the same city block. New Zealand suburbia is quieter, but far less exciting. 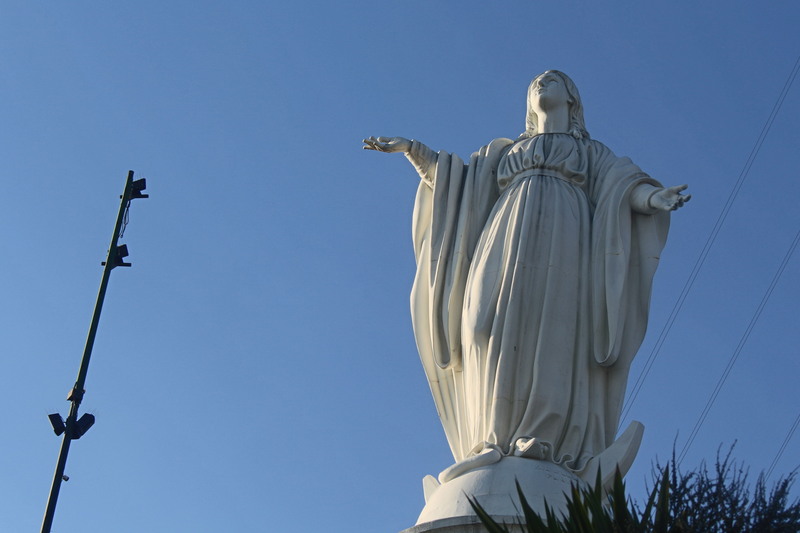 Rio and Buenos Aires seem to be the cities of choice in South America, but don’t neglect Santiago. It’s my first real experience of Latin America (other than a daytrip to Tijuana a decade ago), but I love this city now. Despite all the problems that led to my unexpected holiday, I’ve enjoyed my time here. In many ways it reminded me of Europe. 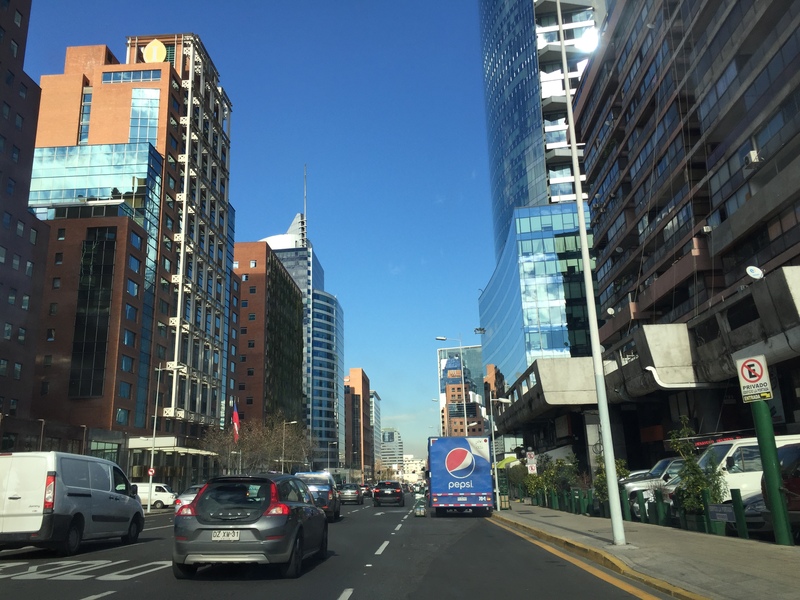 I am sure at least the expensive suburban areas seem similar in many ways to Madrid, or some of the other major cities in Spain or Portugal, The people here, at least the Chileans, are very western in their outlook as well. In amongst the Malls and Skyscrapers of Providencia, you would think you were in North America. 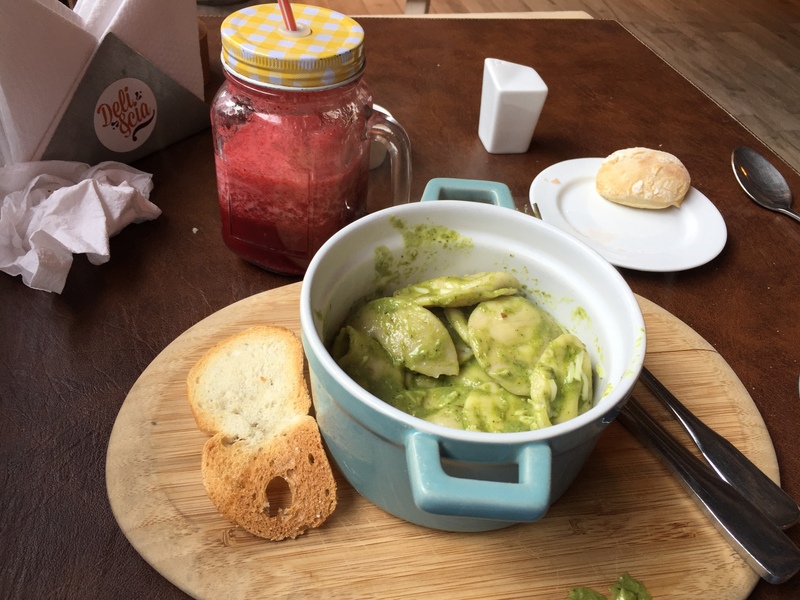 The Peruvians and other immigrants are decidedly less western, and bring their own native flavours to the city. Chile is a land defined by immigration. The streets of Santiago bear the names of notable Chileans from all around the world who came here in the 19th century, when this nation promised so much – Poles, Italians, Germans, French and The English. There was even reportedly a Plaza Nueva Zelandia in Santiago, but I never found it. The truth is that Latin America is its own beast. It is western in its outlook, but it looks inwards as well. Much like the people, it is caught between its own land and the Europeans that founded it. Now I am looking out from my hotel room to sunshine, and a landscape of towers rising from the leafy streets. The taxi driver last night had predicted snowfall, but I’ve seen no sign of it. The weather is a pleasant fifteen degrees, and many of the locals wander round even without a jacket. Instead of fighting against bitter winds and snow, cyclists easily cross the streets, and couples wander down the pavement leisurely. Workers sit outdoors in the cafes, thumbing through a newspaper and downing a quick espresso before heading to their jobs. Perhaps in a few days the snow will arrive, but the locals will all be back when the Sunshine returns. The View from Santiago isn’t always this good, but today it is. Thanks Hyunjae, all the best with your travels too!